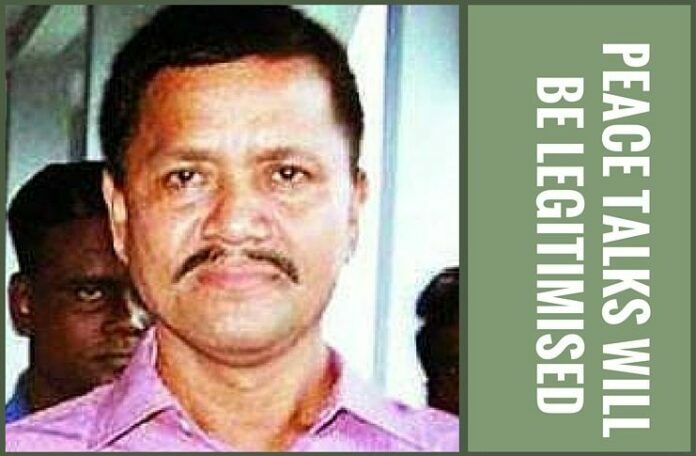 [dropcap color=”#008040″ boxed=”yes” boxed_radius=”8px” class=”” id=””]A[/dropcap]s speculation continues that deported ULFA general secretary Anup Chetia will join the talks between the terror group and the central government, a senior member of the pro-talks group and the organisation’s “foreign secretary”, Sashadhar Choudhury, has said this will only legitimise the peace process and not necessarily bring about any qualitative change. “Qualitatively i do not think there is going to be any change from the current status if Chetia joins the peace talks. However, if Chetia joins then the peace process will be legitimised more than the existing one,” Choudhury, whose real name is Sailen Choudhury, told IANS. Chetia was deported to India on Nov 11 by Bangladesh, where he was arrested in 1997. He is currently in CBI custody. [dropcap color=”#008040″ boxed=”yes” boxed_radius=”8px” class=”” id=””]S[/dropcap]tressing that the existing pro-talks faction of ULFA, who entered into peace negotiations with the central government in 2010 after several top leaders were arrested, has submitted its agenda and debated on the points that can be agreed on, Choudhury said that it now depends on the government if it want to resolve the Assam problem or not. Recently, Minister of State for Home Kiren Rijiju had said that the government is planning to soon wind up the talks. The proposed date for the next round of peace talks between ULFA’s pro-talk faction, the Centre and the Assam government is November 24 in New Delhi. One of the reasons that are believed to have paralysed the talks is the demand for tribal status for six communities – Tai Ahom, Koch Rajbongshi, Chutiya, Moran, Muttock and the Adivasi tea garden workers who are recognized as tribals in other states. The communities together account for 20 percent of the electorate in the state and play a decisive role in more than 40 of the 126 assembly constituencies in six districts of upper Assam. [dropcap color=”#008040″ boxed=”yes” boxed_radius=”8px” class=”” id=””]T[/dropcap]”he only point where we differ is on having talks with the government. Nobody from this group has any contact with him. It is the Government of India who can have relations with Paresh Baruah. So it’s up to the government and Paresh Baruah’s organisation to deal with, even if any confrontation may arise,” Choudhury said. Sounding supportive of Chetia for showing willingness towards the peace process, the 50-year-old leader stated that the government has assured a solution on the tribal status issue by December.